Morning rain showers obscure the Sheep Range in the Desert National Wildlife Refuge. 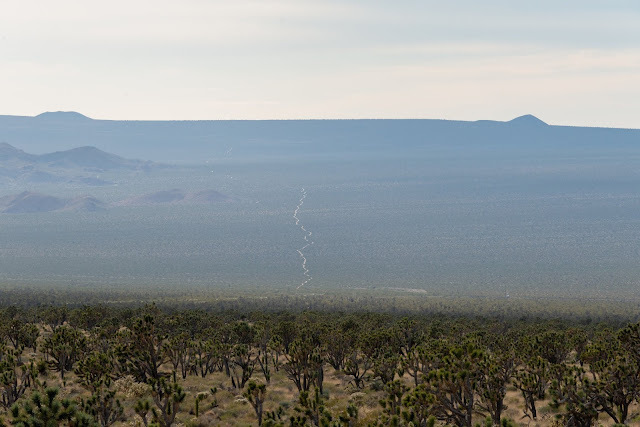 The Air Force is proposing to withdrawal hundreds of square miles of additional desert wildlands on the Refuge and elsewhere in southern Nevada to reserve for training activities. The Air Force is in the initial stages of its environmental review process, and will be sharing more details about its plans at public scoping meetings in October. 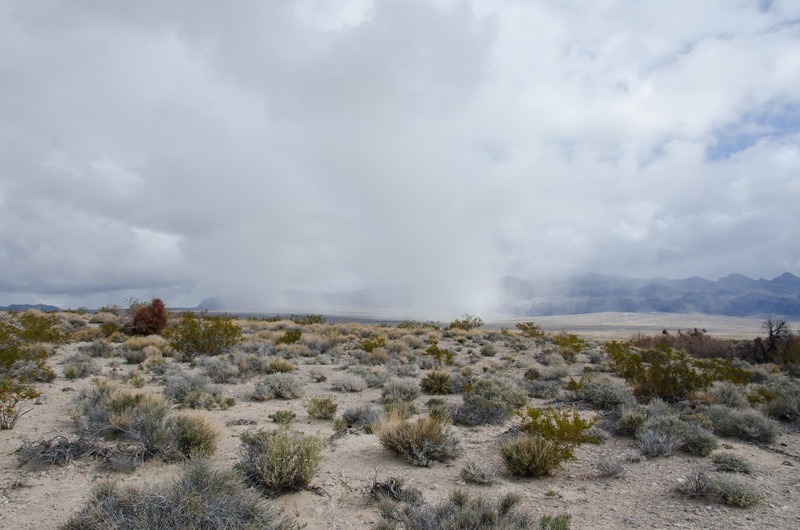 However, a study conducted for the Air Force and published online earlier this year suggests the Air Force wants greater flexibility to place ground targets in lands in the Desert National Wildlife Refuge. It is not clear why the existing training range is insufficient; it already provides the Air Force with 2.9 million acres of land in Nevada. The use of live munitions in the Air Force's training scenarios would not only impact bighorn sheep habitat, but probably will require that the withdrawn lands exclude public access. What Will Happen to Alamo Road? 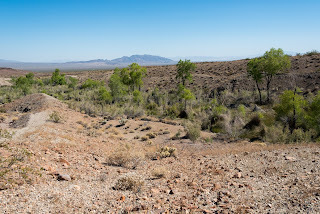 One of the Air Force's proposed expansions would cover significant portions of Alamo Road, a 70-mile dirt road that traverses the refuge starting near the Corn Creek Visitor Center and ending near the town of Alamo and Pahranagat National Wildlife Refuge up north. 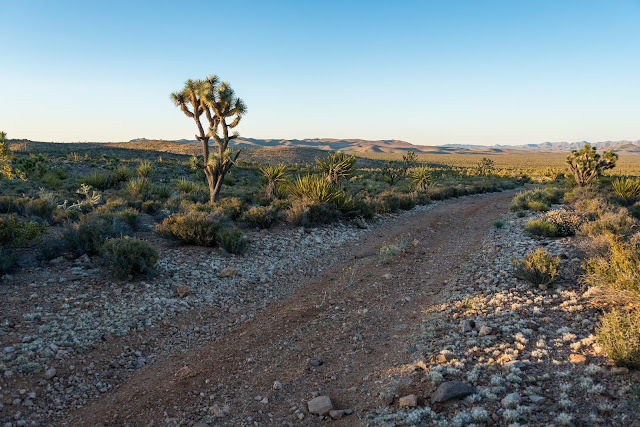 The road offers a rugged, natural escape across beautiful desert wildlands. If the land is withdrawn, it is possible that public access will be restricted on this road, or prohibited entirely. According to the Notice of Intent published in the Federal Register, the Air Force plans to hold five public scoping meetings from 5 p.m. to 9 p.m., on the dates and at the locations listed below. See the below map provided by the Department of Defense depicting the proposed withdrawal lands, and stay tuned for more information. "Reduce" public access? This would REMOVE public access if this land becomes part of the NTTR!